It is tough to sell these days – even tougher if you try to do it online. It’s not just the similar businesses and stores in the neighborhood you would suddenly be competing against. Take it online, and you’re competing against the whole world. But times are changing, and often your online presence is critical to the success of your company. That’s where the customer base is obviously moving towards. In the US alone, ecommerce totaled over $200 billion in sales. In running an online store, one of the important first steps is finding the best ecommerce solution for your business. At Lakeshore Branding we use Magento, a versatile open-source cross-platform content management system that aims to handle all aspects of building and maintaining your ecommerce site. It is dubbed as the “platform for growth” for businesses looking to take it online and to the next level. We agree. What’s best about Magento is its robust set of features, scalable and easily customizable for the convenience of sellers and shoppers alike. The look, the content, the functionality of your online store: with Magento you have control over everything. The powerful yet easy-to-navigate administrative interface gives you catalog management tools, SEO-friendly capabilities, and comprehensive merchandising and marketing features like shopping carts, product reviews, social shopping, up-selling/cross-selling, wish lists, E-newsletter management, and integration with numerous payment gateways. Magento also offers extensive analytics and reports, as well as easy inventory management online. Here at Lakeshore Branding we’ve leveraged the solution’s amazing flexibility to support the growth of our clients’ businesses, no matter the size. It’s not just us, actually. The latest brands to have utilized this critically-acclaimed ecommerce solution include Lenovo, 3M, The North Face, Samsung, Myla London, and Visio. Developed by a company called Varien, Magento had 10,000 downloads within the first two weeks of its release. So far there have been 750,000 downloads, and more and more Magento-powered sites are going live every day. The biggest brands and the most trusted experts agree: few, if any, come close to Magento in terms of offering a complete, structured set of features for developing and managing your ecommerce site – and outperforming the competition. While the solution glows from all these positive reviews, the roadmap of Magento looks even brighter. Lakeshore Branding recognizes that, which is why we consider Magento to be the best ecommerce solution for you. Times are changing – “you can now sell things with open source!” – but this only means that your best opportunity to grow is now. Magento is an interesting piece of software. We’re trying to develop some sites with it now. I have used to the free version and the functions and features are seemingly limitless. 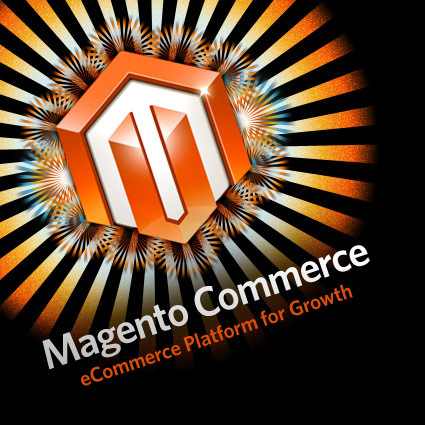 Is Magento the future of ecommerce platforms? it seems so..
We are in the process of moving from a SAAS platform to Magento. So far we are excited about the prospects. Magento ecommerce or online store based on magento platform not only beneficial for store owners as well as provide easiest way to search the particular product on shop , get full description of the products and not least but last compare one product to another product option. Magento shopping cart extension is the most valuable part of the magento based stores because it provides a feature by which customers can put as much as products in there shopping cart before the check out process.